On March 21, Elizabeth Warren unveiled her new healthcare bill, the Consumer Health Insurance Protection Act. Warren and her legion of co-sponsors, including Sens. Bernie Sanders and Kamala Harris, claim that the bill will hold health insurance companies accountable for rising healthcare costs and ensure increased access to affordable care. However, Warren has a demonstrated history of aligning herself with insurance agencies and big companies, and promoting the interests of these organizations over the health and well-being of the patients they represent. 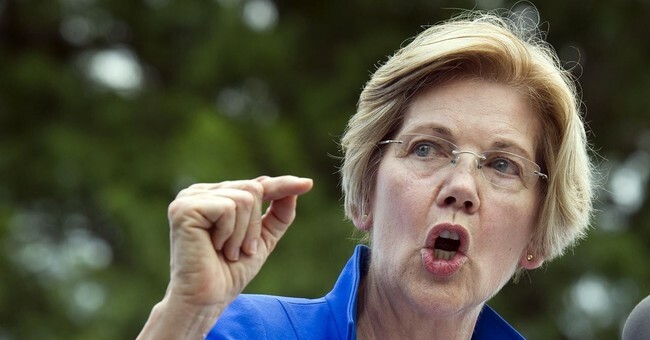 In a tweet introducing the bill, Warren claimed that it would “help stop the nasty tricks that insurance companies use to …drive up costs for families.” While she is an adept self-promoter, Warren’s actions draw a clear picture of where her loyalties truly lie. She has a history of working to promote the interests of companies over constituents. When working as a private lawyer, Warren advised Dow Chemical at a time when it was fighting against claims filed by hundreds of thousands of women regarding dangerous silicone breast implants. With Warren’s help, the company filed for bankruptcy and evaded having to assess these claims. While helping a large corporation insulate themselves from the health claims of women is not something that fits nicely into pro-female empowerment brand that Warren hopes to embody, it was only one of multiple instances where she advocated for the firm over the individual. Warren’s representation of Traveler’s Insurance in 2009, for which she was paid $212,000, was part of what has been called “one of the greatest coups in legal history.” With Warren’s help, Traveler’s was recused from having to pay out massive settlements to asbestos poisoning victims, many suffering from cancer as a result, on the grounds that if the victims’ other insurers were not required to compensate the victims, then Traveler’s shouldn’t be either. When comparing these actions to this most recent healthcare bill, it is laughable to think that Warren is a trustworthy source of patient advocacy. It also makes statements like her recent tweet advocating for “a health care system that puts patients first –– not insurance companies” seem downright hypocritical. Warren has worked for over ten years to position herself as a tireless defender of social justice causes, blue collar workers, and consumer rights. Unfortunately, this bill serves only to enforce this rhetoric without delivering beneficial results for the public. Forcing private insurers to increase their patient numbers and expand care services without allowing them to raise prices will put a strain on available medical and personnel resources, and lower the quality of care they are able to provide to consumers. Instead of improving patient healthcare options, this bill is just another piece in a long line of hollow and carefully calculated self-promotions in Warren’s perpetual quest for personal gain. While Warren’s past actions clearly indicate favoring corporate interests, her recent business partners demonstrate that her current intentions are just as insidious. Warren’s top donor pool is comprised of individuals who hail from corporate backgrounds, including Wall Street, the insurance industry, and international law firms. Among this group is Brown Rudnik LLP, a law firm specializing in corporate and white collar defense, whose employees donated over $70,000 to Warren in 2016 alone. Warren’s fraudulent nature is beginning to attract attention. Massachusetts State Representative Geoff Diehl (a current US Senate Candidate) has urged Massachusetts citizens for see Warren for what she really is: an advocate for big corporations who is bent on gaining personal notoriety. Earlier this year, Diehl challenged Warren to sign a six year pledge committing herself to advocate for Massachusetts interests. While Warren has not yet signed the pledge, Diehl did so willingly, reiterating his hope that the state will recognize the importance of electing a senator who will put Massachusetts citizens first. In the meantime, it is becoming increasingly clear that while Elizabeth Warren would like to package herself as a defender of healthcare rights, this bill does little to mask her true self-serving colors. Rachel Tripp writes about liberty from Washington, D.C.